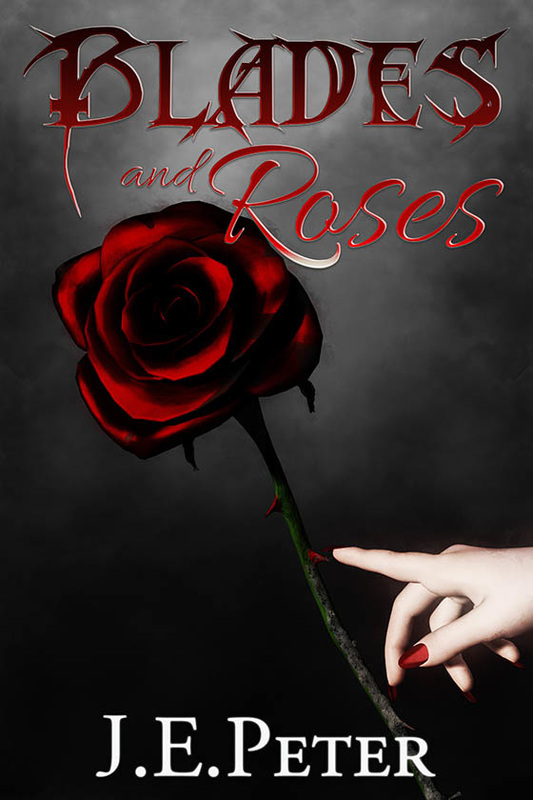 Premade cover 'gothic rose and hand' ... going, going, SOLD to the author of Blades and Roses, J.E. Peter. I think this particular selling of a premade cover is the fastest I've ever had. Joanne contacted me on twitter the same day the blog post went live. I should do more works like this, lol. Have you ever stared death in the eye? And wondered how cold, dark and calculative it is? Death itself was a force to be reckoned with – one that could not be torn asunder or led astray. If it set its hooks and claws in you, if it bayed for your flesh and soul like the voracious pestilent beast it truly it is, then it will claim you. It will never stop. It will never fade. It will never break. Death was careful and persistent, ever vigilant on its quarry. Death would not be denied. But I had done the irrevocable. I conquered Death. I courted the Shadows. I loved its Reaper. And tonight, I would fight for him. Because I am powerful. I am immortal. I am…Ethereal. See? Isn't it so much nicer when an artwork has words to accompany it? It sure is to me. Then, again, I went to art school to become a book cover artist, so to me, they just go together.